The rupee was trading down by 3 paise at 64.49 against the US currency in early trade today at the interbank foreign exchange as the dollar strengthened in global markets after progress on the US tax-cut proposal. Dealers also attributed the rupee's fall to increased demand for the US currency from importers but a higher opening in the domestic equity market capped the losses to some extent. The rupee opened lower by 7 paise at 64.53 against last close of 64.46 on higher demand for the dollar. Later the rupee reverses its losses to touch a high of 64.45 in early trade. The domestic currency was quoted at 64.49 per dollar, down by 3 paise, at 0950hrs. The dollar rose against the yen, euro and pound after the US Senate passed the tax reform bill last weekend. 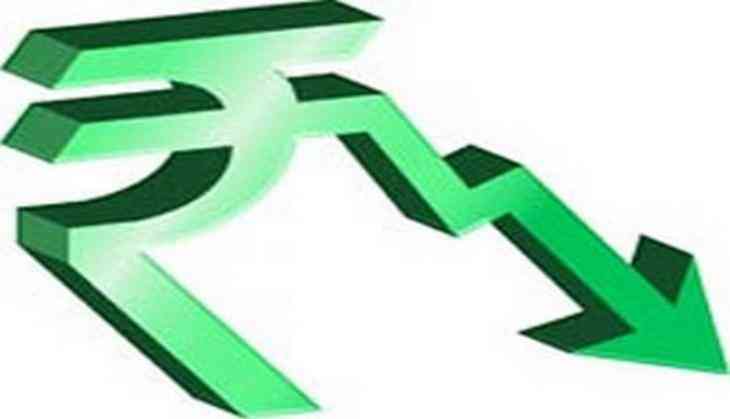 On Thursday, the rupee had lost 15 paise to close at 64.46 a dollar on growing concerns with regard to fiscal deficit and possible extension of crude oil production curb by OPEC. Forex and money markets were closed on Friday on account of Id-E-Milad. Meanwhile, the benchmark Sensex rose 175.53 points, or 0.53 per cent, to 33,008.47 in opening trade. READ NEXT >> Makers of Mahesh Babu, Allu Arjun films are upset with Rajinikanth, Akshay Kumar film 2.0's new release date, but why?